The Golf Club At the Resort – Welcome to The Golf Club At the Resort! Voted one of the Top 5 Hidden Gems by Avid Golfer Magazine in 2012. Located just outside of Fort Worth, The Golf Club at The Resort’s breathtaking views and quiet setting makes it every golfers paradise. The Golf Club at the Resort works tirelessly to enhance the already top-tier golf experience on its grounds. For example, in the past six years the course has added 20 new greens, 20 new tees and more than 25 bunkers, strategically placed to stimulate players’ decision-making abilities. Take our scenic course views of Eagle Mountain Lake, our beautiful poolside terrace and our famous steak nights in the clubhouse. What you get is the ideal golf afternoon. You can play through our course, unwind by the pool with a cold beverage and enjoy our hospitable service. Does it seem like you’ve stumbled across an exclusive club? Well, that makes sense. At The Golf Club at the Resort, we aspire to become a private course. Now is your chance to join our exciting future. 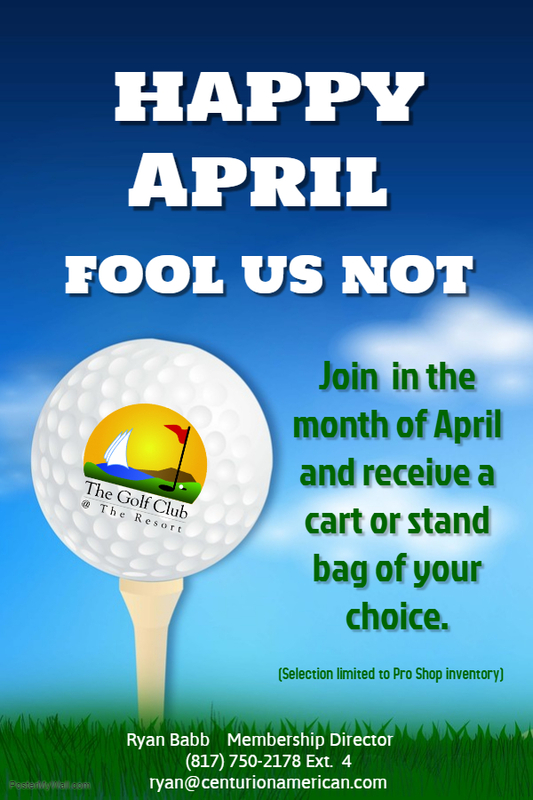 For your next Fort Worth golf tee time, golf outings, club membership info and more call (817) 750-2178.